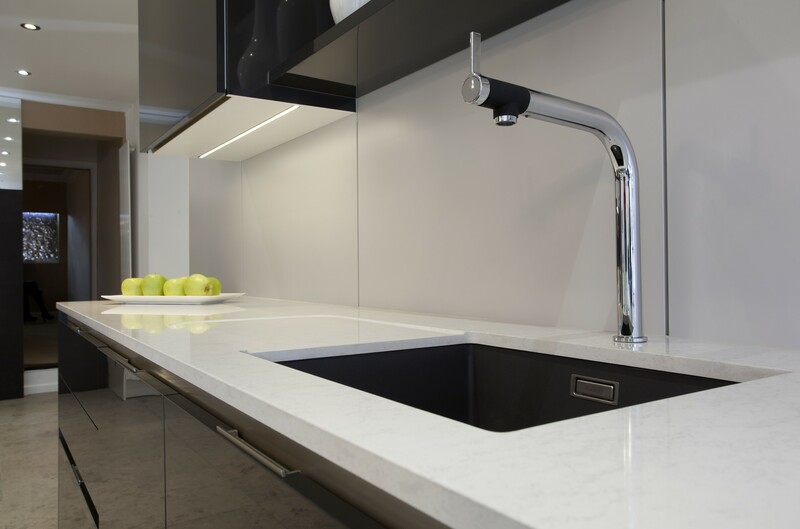 Atelier Stone manufacture and install beautiful, unique granite and quartz worktops. 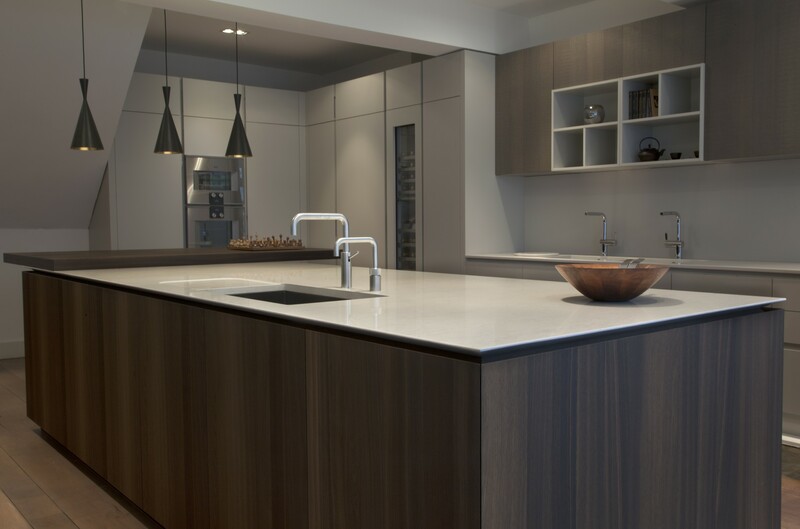 Our range includes kitchen worktops, vanity units, bar and restaurant countertops in a wide variety of finishes and colours. We offer a superior product at an affordable price. 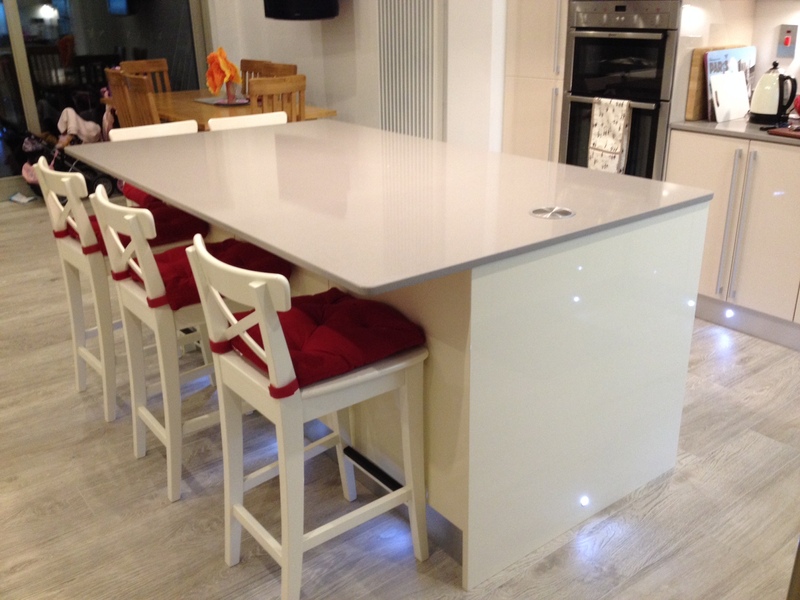 A granite or quartz worktop will enhance the beauty and feel of any kitchen. 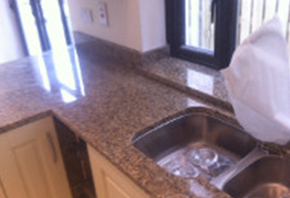 Granite or quartz countertops are made to measure and fit within 3-5 working days. Call in to view full Granite, Marble and Quartz slabs. 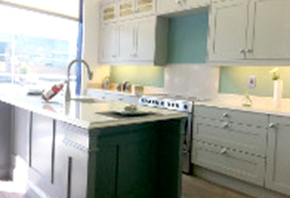 Full range of Silestone quartz worktops, Granite worktops, Marble worktops. Selection of under mounted sinks on display. Bring your kitchen door or Farrow and Ball colour chart when viewing slabs and find the perfect match. Samples of granite, marble and Silestone available. Send us your Kitchen drawings or Photo’s of existing Kitchen via your Smart Phone for a quote. Email info@atelierstone.ie or call 01 450 5999. Client refaced kitchen with new doors and a 2cm Kensho worktop in January 2015. 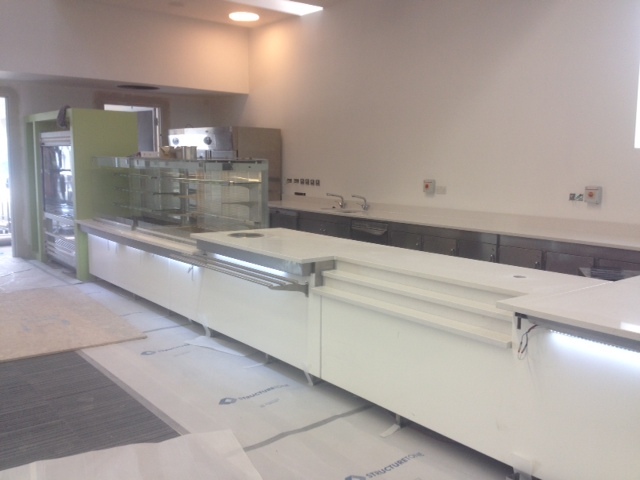 Atelier Stone completed large scale commercial kitchens in Blanco Maple from Silestone. We installed a beautiful Venetian Gold Granite Worktop in this kitchen in Knocklyon in South Dublin back in October 2014. Creative Ideas is the discipline of planning, organizing, motivating, and controlling resources to achieve specific goals. 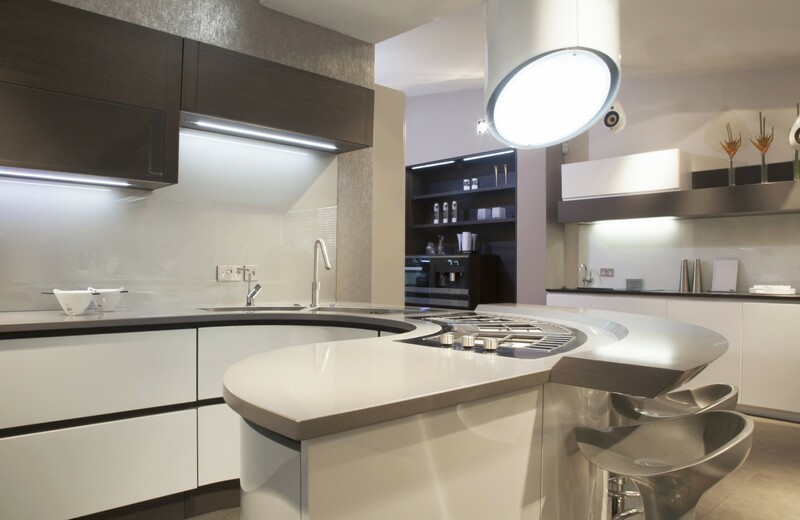 Here at Atelier stone our main aim is to achieve the goal of satisfying your every need and requirement to deliver your project exactly as you envisage it. Atelier Stone can create a tailored made solution that will be unique to your your specific needs and wants, no two projects are ever the same but our approach is, we always find the solution to your stone requirements.